Esys® has acquired the Rosemount 1500A GPC product line from Rosemount Analytical, Inc., and as a result will continue to offer legacy support for the 1500A GPC and improve on product quality, delivery time, and product support services. Esys® has built an inventory of new parts for the 1500A GPC product line to provide fast same day spare part support. Below is a list of spare parts by stock part number supported by Esys, as well as list pricing. Please contact Esys for any applicable distributor discounts. For full pricing, please see our brochure, submit a request-for-quote, or call us. See our full selection of GPC boards and components, now available through our new online store. Esys® offers in-house diagnostic and repair services for the Rosemount 1500 GPC integrated circuit board assemblies. Repair services are performed by Esys electronic service technicians at the New Horizon facility in Bakersfield, California. Esys® will perform authorized repairs and bench testing on a time and material basis. The applicable bench rate for these services is $95.00 per hour. The repairs do not include initial diagnostic services. Repair cost will not exceed 60% of the cost of a new board. Repairs are typically completed within four to six weeks after receipt of authorization. 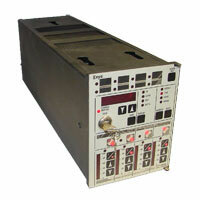 Circuit boards repaired and sold by Esys® carry a 90-day limited warranty. New 1500 controllers provided by Esys carry a 1 year warranty. Esys® will issue a 25% credit towards the purchase of a new or used board for a repairable exchange board. Click for the full terms & conditions as well as pricing and photos (found in our brochure).